With the conclusion of winter, the seasonal county detection trapping for the Asian Citrus Psyllid (Diaphorina citri) also concludes. The Asian Citrus Psyllid (ACP) is a vector of the disease Huanglongbing (HLB). HLB is caused by the transmission of the bacterium Candidatus Liberibacteri spp. to citrus plants. When infected with HLB, citrus plants express symptoms such as yellow mottling of leaves, premature defoliation, root decay, stunted growth, bitter, irregularly shaped fruit, and eventual plant death. In effort to prevent the introduction of ACP and associated HLB into Sonoma County, the Department of Agriculture/Weights & Measures performs regular inspections of citrus plants coming into the county from areas infested with ACP. In addition, the Department routinely monitors urban areas throughout the county for ACP via deployment of yellow panel detection traps. These traps are inspected monthly and the trapping season extends from November until April. This season, 377 ACP urban detection traps were deployed and inspected. 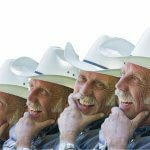 To date, ACP and HLB have yet to be detected in Sonoma County. Although we have very little commercial citrus growing in the county, the effects of ACP and HLB on homeowner planted citrus would be significant. The ongoing support and participation throughout the community is critical to protect our agricultural industry and prevent invasive pest infestation. 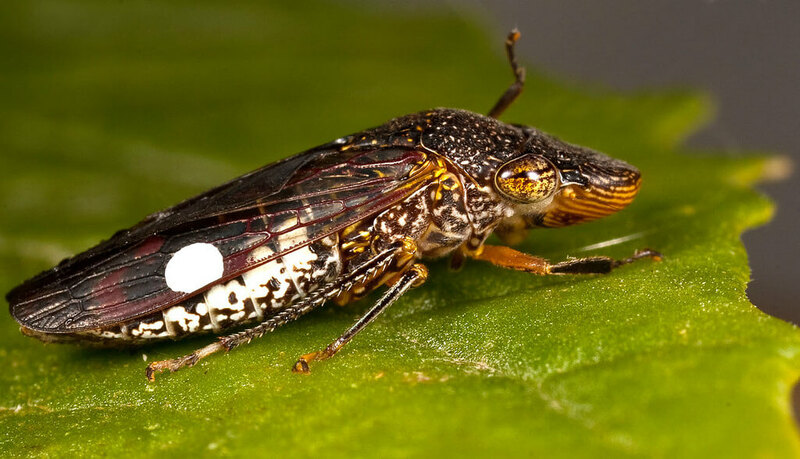 The glassy-winged sharpshooter (Homalodisca vitripennis) is an invasive pest capable of spreading the bacteria Xylella fastidiosa to grapevines in infested areas. In grapevines, Xylella fastidiosa infection is referred to as Pierce’s Disease. This disease can have devastating effects on grapevines. The bacterium adheres to, invades, colonizes, and proliferates within the fluid transport structures of the host. As the bacterium grows, it blocks and restricts the proper movement of water and nutrients throughout the plant. It also erodes the cellular structure of the plant’s vascular system, hindering the plant’s ability to maintain health and stability. Symptoms seen in grapevines include stunted plant growth, inhibition of fruit production, marginal chlorosis, scorching of leaves, leaf necrosis, and host tissue damage to the extent of plant death. As vineyard production is a major economic value within the County of Sonoma, the prevention of Pierce’s Disease is important. In order to prevent an invasion of the glassy-winged sharpshooter (GWSS) and an increase in Pierce’s Disease, the Sonoma County Department of Agriculture/Weights & Measures performs monitoring of GWSS hosts within the County. This includes the establishment of 388 urban detection traps spanning urban areas throughout the County, as well as routine inspections of nursery shipments entering the County from areas of GWSS infestation. In the past few years, the Department has detected several shipments containing various life-stages of GWSS. These shipments have been either reconditioned by removal of the pest or rejected in order to prevent infestation. As the County attempts to rebuild from the October 2017 fires, many homes, businesses, and public areas are in the process of reconstructing gardens and landscapes. In this effort, the number of landscaping and nursery shipments from Southern California has greatly increased. The Department has responded by thoroughly inspecting these shipments for GWSS. To prevent economic loss within the county, the prevention GWSS introduction is essential. When the time comes to replace your vines, be sure to visit the Dept. of Agriculture/ Weights & Measures to apply for your Vineyard and Orchard Site Development (VESCO) permit. Replanting is a standard part of managing a vineyard or orchard. Whether the vines or trees become too old to produce fruit, a varietal change is deemed necessary, or the crop becomes damaged by pests or disease, there is a time when a property manager decides it’s time for a change. When that time comes, be sure to visit the Department of Agriculture/ Weights & Measures in order to apply for your Vineyard and Orchard Site Development (VESCO) permit. It is important to note that it is an easier process to get your permit to replant a vineyard or orchard than it is to get a permit to develop a new vineyard or orchard. A replant project has steeper slopes that can be permitted without the need for a civil engineer, a biological assessment is not needed unless the project is in the critical habitat for an endangered species, and a project footprint can be grandfathered in to closer setbacks to a riparian area than a new development. One very important thing to remember is that in order for your project to be considered a replant the vines or orchard trees must still be in the ground for the project to be considered a replant. If the area has been left fallow for anytime, it will be considered a new project. Chapter 36 of the County Code has a few exemptions from VESCO concerning replants. The replanting of diseased or damaged trees or vines can be done as long as less than a contiguous half-acre is replaced and existing infrastructure is kept in place. Interplanting of vines and trees can occur without a VESCO permit. Also, if your project is within the Santa Rosa Plain Groundwater Subbasin, you can pull and replace vines as long as no deep ripping is conducted and existing underground infrastructure and end posts are kept intact (this is a pilot program that will expire on December 31, 2019). To make this year’s harvest less stressful, make sure your scales are in good operating condition prior to having your scale inspected by the Department. As the 2018 wine grape harvest approaches, The Department of Agriculture/Weights & Measures would like to remind scale operators about the important role their scales play in determining the value of Sonoma County’s winegrape crop. The 2016 Sonoma County Annual Crop Report estimated the total annual winegrape value to be just over $586 million, an increase of $139 million from the prior year’s production value. Commercial scales not only determine the total crop tonnage of winegrapes coming off the vines, but they are also used to determine payments made for harvest-related services such as shipping and hauling services, as well as labor services paid based on the total crop weight that is picked off the vines. To make this year’s harvest less stressful, take a few minutes to inspect the condition of your scales. Make sure your scales are in good operating condition prior to having your scale inspected by the Department. If your scale is exhibiting erratic weight indications, will not hold a zero balance, or shows physical damage, call a licensed scale repairperson to have your scale serviced. Damaged scale components, severed power cords, or malfunctioning batteries for portable scales may necessitate ordering parts that may not be readily available, delaying your ability to use your scale at the most crucial time of the harvest. Licensed scale repair companies can be found online or in the phone book under scales. Before hiring any company, make sure they hold a valid license as a service agent registered with the state of California. If you have any questions about their licensing and registration information, please call our office and ask to speak to one of our Weights & Measures inspectors. As an additional reminder, the Department will be holding their annual crane scale workshop in late July and early August in Healdsburg and Sonoma. If you own or operate a crane scale and have it registered with our office, you will receive letter in the mail in early July inviting you to the workshop. Call our office at (707) 565-2371 if you have any questions about the crane workshop or if you would like to schedule a scale inspection prior to the winegrape harvest.